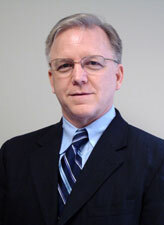 June 17, 2013, Pittsburgh, PA - Attorney Gerald Hutton of Edgar Snyder & Associates has been elected to membership in the Academy of Trial Lawyers of Allegheny County. Hutton, who has been representing clients involved in personal injury lawsuits for more than 30 years, was also selected to the 2012 and 2013 Super Lawyers list and is a member of the Pennsylvania Bar Association. In addition to Hutton, other members from Edgar Snyder & Associates include Attorney Cynthia Danel, Attorney Ken Nolan, Attorney Richard Rosenthal, and Attorney Michael Rosenzweig. The Academy was founded in 1959 as an organization of trial lawyers to assist in the fair and efficient administration of justice. The membership, limited to 250 attorneys, is comprised of both plaintiffs' attorneys and defense attorneys.